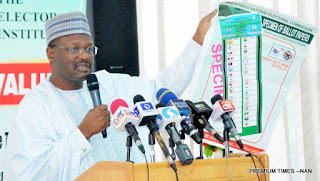 Reports reaching Journalists indicate that the Independent National Electoral Commission (INEC) may postpone the 2019 general elections scheduled to begin tomorrow till Tuesday for logistics reasons. A credible source in INEC said the development may be due to the fact that sensitive materials needed for the election are yet to be distributed in some states of the federation. He also said the Commission is trying to put adequate security measures in place. 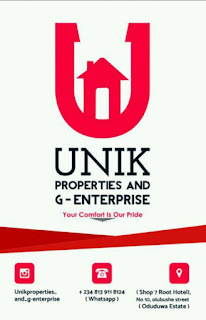 Department: ARTS AND SOCIAL SCIENCE GENERAL SECRETARY 09075177904, 08160061495.
that as they travel back home, they can drop their loads with UNIK Properties &G-Enterprise. Be rest assured that all your loads will be kept safe till resumption. 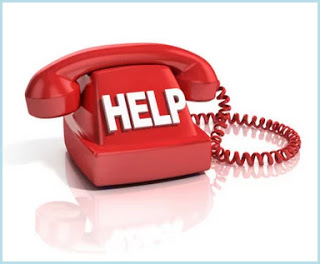 You can contact us through 08139118124 or at our office; Shop 7, Root hotel,No 10,olubushe street ( Oduduwa Estate). Are you looking for a place of comfort? 👉Do you want a good ventilated environment with guaranteed security?? *3,4,5 BEDROOM FLATS 🏭 . 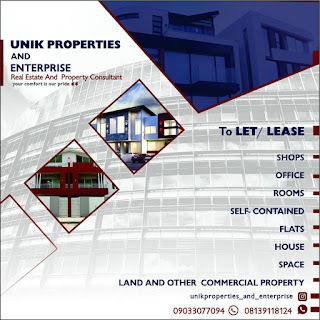 At EDE ROAD, MODOMO, PARAKIN, ROAD7, OMOLE AND MOREMI ESTATE, MAYFAIR SIDE, LAGERE, SABO AND ANY LOCATION OF UR CHOICE APART FROM THE LISTED ONES. YOUR COMFORT IS OUR PRIDE. The Association of Campus Journalists OAU chapter (ACJOAU) on Saturday 2nd February, 2019 urshered in new executives at her annual International Campus Journalism Conference (ICJC) which took place at the New Moot and Mock Court OAU. The swearing in which was preceeded by an election which took place on Friday 1st February, 2019. The election started at exactly 4:30pm and ended 7:30pm while the counting of votes started around 7:30pm. 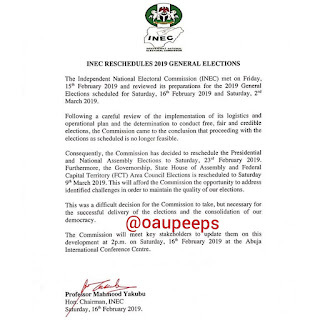 In an announcement made by the electoral commission chairperson,Awoyenjesu Olamide; "the following emerged as winners of the election; Oludiran Olusola Abidemi (Cyrus) as President, Abdulazeez Taiwo Lateefat as Vice-president, Kehinde Babajide Ifeoluwa (K Babs) as General Secretary,Abayomi Juliana Morenike as Assistant General Secretary, Olayemi Blessing Olayinka as Public Relations Officer,and Adeleke Victor Temitayo as Financial Secretary."